A mouth guard is an useful item made from soft plastic or laminate, which saves your lip, tongue, teeth, gums and the cheeks from injury. Mouth guards protect the teeth and the gums from injuries related to trauma and sports. It also prevents damage to your tooth enamel caused by teeth grinding. These are also used to minimise snoring problem as well as to treat sleep apnea. 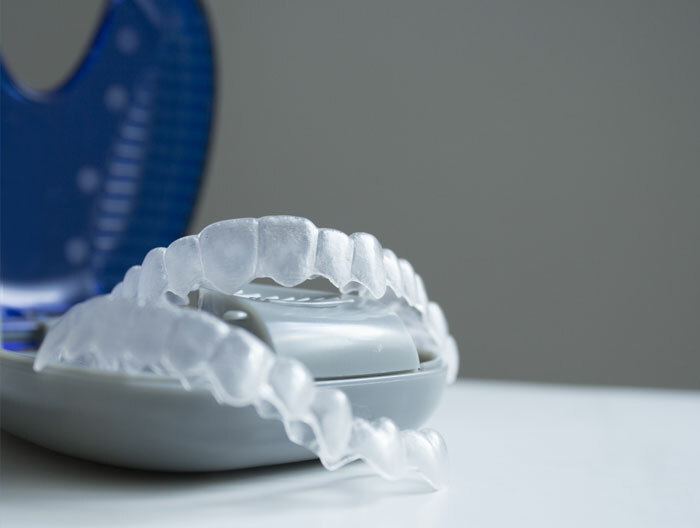 At the Shirley Park Dental Surgery, we provide durable and high-quality mouth guards that are custom-made to fit perfectly into your mouth. 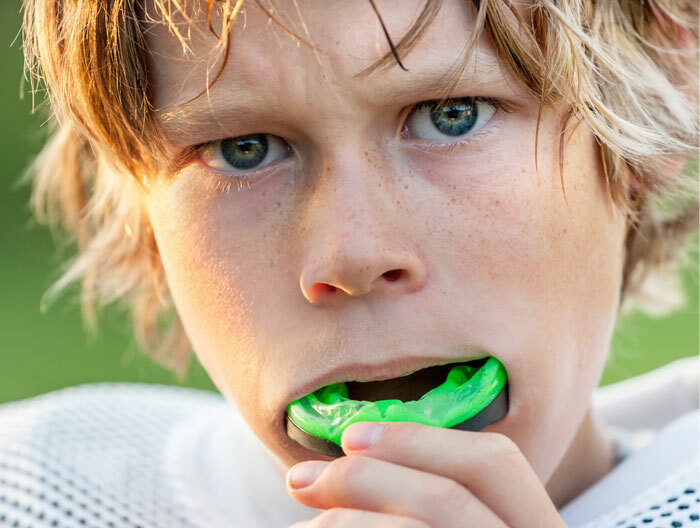 Mouth guards are equally helpful for both children and adults, who partake in any contact sports, like football, hockey, basketball, lacrosse, ice hockey and others. Wearing a mouth guard is a must, even if you take part in any non-contact, recreational activity that has even a small risk of injuring the mouth. It is also prescribed to both children and adults, who grind their teeth at night while asleep. It helps avoiding damage to their teeth. How can I recognise an effective mouth guard? At our South Croydon clinic, we maintain certain standards in selecting good-quality mouth guards. It must be comfortable to wear and fit tightly in the mouth. A good mouth guard allows you to breath and swallow easily. You recognise a good mouth guard when it doesn’t affect your speech. Superior-grade mouth guards are always tasteless and odourless. Currently I’m on orthodontic braces. Can I use a mouth guard? Yes, you can definitely use one. An injury to the face can damage your braces along with the bones and maxillofacial tissues inside your mouth. A customised mouth guard can easily save you from such trauma. Our dentist at Shirley Park Dental Surgery in South Croydon will select the right mouth guard to ensure total protection to your mouth. What is the average life of mouth guards? Every mouth guard comes with a certain life span. You’ve to change your mouth guard as advised by the dentist.. Adults don’t need to change their mouth guard as often as compared to children. This is because the teeth and the gums of every child will keep changing constantly. So, their mouth guards have to be customised on frequent basis for the perfect fit and maximum protection. At the Shirley Park Dental Surgery, we suggest everyone to have their mouth guards checked by our dentist during every routine check-up. Rinse it well with cold water every time before and after use. Occasionally clean it using a mild soap and a toothbrush. Always keep it in a perforated container to facilitate air circulation. Never use hot water to clean a mouth guard. If you find it has become loose, replace it immediately. Carry your mouth guard with you during every dental visit so that your dentist can see if it is still in a good and functional condition. The cost of mouth guards vary from one dental practice to another. 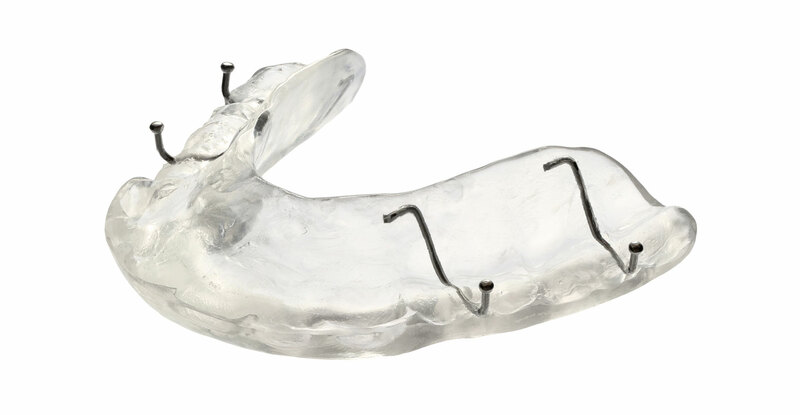 You can be assured that, we offer the best quality, customised mouth guards based on your needs at reasonable rates. Please feel free to contact us to get quotation on mouth guards.